Rising energy costs are in news reports and compelling home-owners to consider a brand new outlook on how to reduce energy consumption. The good thing is there’s plenty that you can do to reduce your energy bills and a lot of devices that will help you save energy while remaining comfortable. All household scenarios will be different. So a good option to begin is as simple as focusing on how much energy you utilize every day and which economical actions may have the greatest impact in your house and help you reduce your energy consumption. How to begin saving energy! This informative guide continues to be designed to provide you with energy reduction ideas plus some details on how to reduce energy consumption so that you can start saving electricity and money today. Try to find out what appliances or devices are behind your energy cost increases along with the key home and lifestyle factors that could help you reduce energy consumption. Get organised. Manage your electricity use by understanding your power bill and identify excessive energy usage locations around the house which means you will know how to start, and reduce power consumption. Choose energy efficient home appliances and follow our record of no-cost economical actions now. If you want to upgrade a older appliance, purchasing an energy efficient appliance is the first useful investment you can make. Many people don’t realise how much electricity is consumed by the older electric geysers in your home. By changing your electric geyser system and having a solar geyser installed, you may achieve significant savings in your energy bill. The total amount you save is dependent on your individual conditions. No matter how big or small your home is, by using the right energy saving appliances and monitoring the energy consumption in your home, you can save money and help contribute to a greener South Africa along with hitting the issues with global warming head on! Our homes are the cause of around 21 percent of carbon emissions in South Africa. So to put it in perspective, the average household can produce as much as 14 tons of green-house gas on an annual basis. That figure also includes private transport. South Africas electricity prices are increasing every year, and with Eskom battling to keep up with our electricity consumption and infrastructure costs, it will continue to rise. Another thing to consider is our peak energy consumption usage, for example mid-summer days or cold winters when we are running heating and cooling systems throughout the day. Population growth is also a contributing factor towards how reliable our energy network infrastructure is. Alternative ways to power up our homes and businesses have been highly sort after in the last few years. There has been many break throughs in the solar technology market helping us to better manage our energy consumption. Alternative energy sources like solar power and wind turbines do involve high upfront costs, but we have noticed that the price to have your home running on a solar powered system has decrease quite substantially, and Eskom rebates for home solar power systems are now given to consumers who make use of Eskom approved solar powered devices. Making use of these solar powered systems has many advantages in the long term. 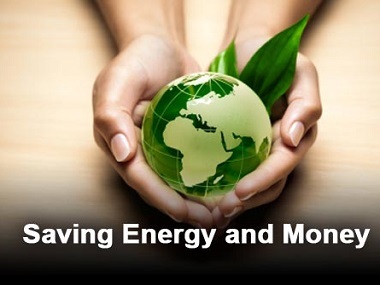 You will save significant money and reduce energy consumption. The advantages of solar energy cant be ignored, and most people are looking to move in that direction. The disadvantage of solar energy is the upfront cost to get started and is what is holding many people back. A variety of factors determine the quantity of energy utilized in individual homes. New technology like home theatre systems, massive flat screen TV’s and bigger more powerful computer and devices demand more electricity nowdays. the neighbourhood climate where you reside. the entire size of your house-and it could be a townhouse, apartment or free standing home. the style of your house-orientation and whether passive cooling and heating systems are utilized. features and home appliances-the dimensions, number and efficiency of the major home appliances. habits and private preferences-the behavior of those within your house including just how much heating, cooling, cooking, taking a shower, washing and garments drying out is performed. If you cant figure out how your family is using electricity, it will be tough to fix this problem and reduce power consumption. The best option would be to monitor your electricity bill every month. You electricity bill will give you some indication of how much power is being consumed in your home. Understanding your electricity bill can help you make assessments so you can start making some changes that can help you run a more energy efficient home. Another thing you can do is compare your electricity bills from the year before and get a better idea of the power consumed during peak summer and winter seasons. If you have had your home recently insulated with either think pink aerolite or isotherm polyester insulation, you should notice quite a substantial decrease in energy consumed during these peak seasons. People often under estimate the advantages of insulation in their home. The disadvantage of roof insulation would be the upfront cost to have it installed, but once your home is insulated properly you can expect a massive drop in energy consumption. The advantages of insulation cant be ignored either, pay the upfront cost to have your home professionally insulated and you will reap the rewards. If you really can afford getting a solar powered system installed or having your home properly insulated, you might want to start off with some cheap options to reduce power consumption. Get thicker bedding so that you don’t have to run heating systems all night on cold winter nights. Also make sure you only heat the room you are in instead of heating up the whole house. Thicker curtains also help keep the warmth inside a room. The windows in your home are weak points so thicker curtains will definitely help keep the room warmer. You might also want to check how energy efficient your heater is. Upgrading to a new model that is more energy efficient can do wonders when attempting to reduce power consumption. Concentrate on the greatest causes of high energy use around your house. Heating and cooling systems are the most power hungry so make sure they are working effectively. Identify methods for you to execute household electrical devices more effectively. Including correct installation and positioning of these devices, and keeping them maintained. Search for simple things you can do to reduce power consumption first. Start there and work your way up to the more expensive power saving methods. When changing or improving household products, think about the most energy efficient option you really can afford.